Built with durable 18-layer hard-plywood top for long-lasting strength, the Safco Confluence Table by Focal Upright is the perfect desk for your homes, offices, and schools. 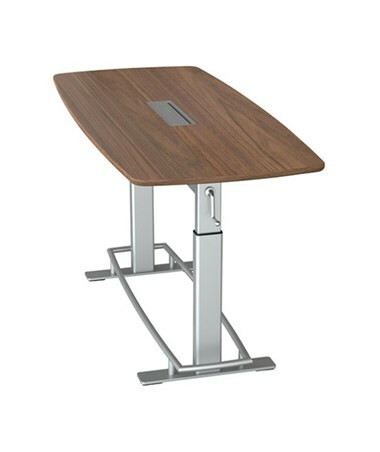 Topped with three layers of polyurethane varnish on veneers for added durability, the table top includes an anodized aluminum power cable hatch and powder coated steel cable management tray for better organization of cords and a more organized workspace. 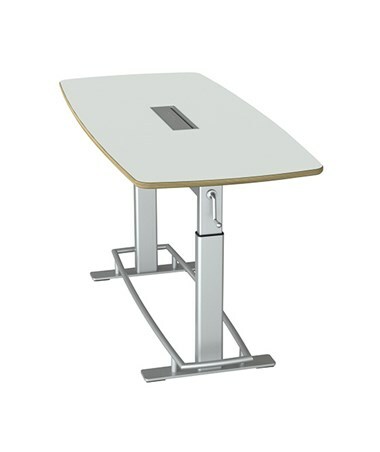 With powder coated zinc adjustment handle, the Safco Confluence table offers adjustable height from 36 to 48 inches and the adjustment mechanism is made of hardened steel and recyclable aluminum. 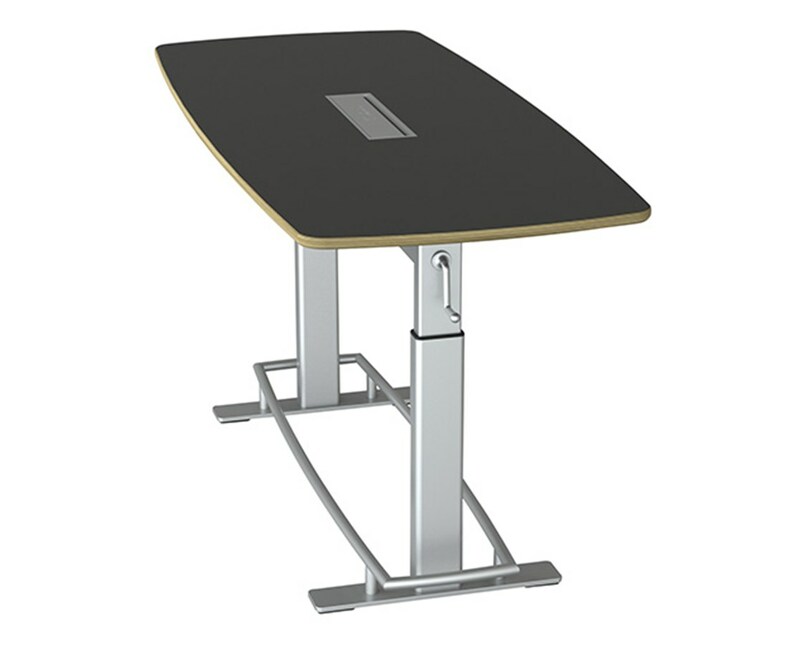 The ability to adjust its height allows users to find a position that suits best. 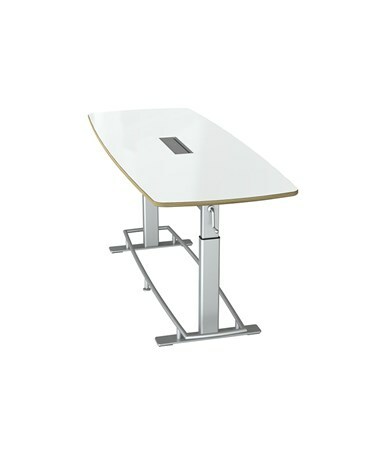 In addition, the table legs are made of powder coated extruded recyclable aluminum with hard steel feet for a sturdy support. 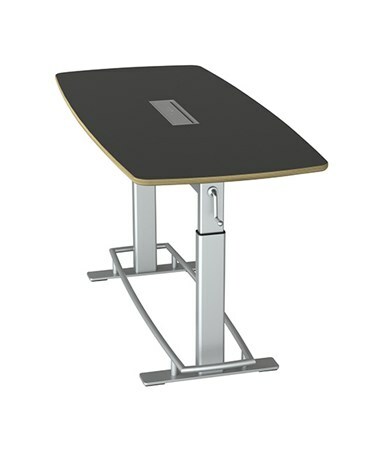 The Confluence table includes a footrest rail made of bent tubular steel which encourages more active posture changes. Comes in varying sizes and colors, the Confluence by Focal Upright is also available in 40 inches fixed-height option. The Safco Confluence Table by Focal Upright comes in two sizes and five table top veneers suitable for every user's preference. Choose your pick from the drop-down section above. Finished Product Weight 90.00 lbs.